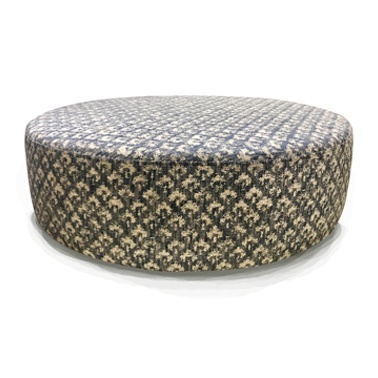 This versatile ottoman can be extra seating, or a coffee table! Made in Christchurch, and made to order in your choice of fabric. All Kovacs ottomans are able to be individualised for flexibility - depending on your choice of leg you can customise the height of your ottoman or match it to an existing suite. The enzo ottoman comes with or without butons. Ottoman shown is not buttoned, is covered in Koji Azure and is available for immediate delivery.